It’s interesting how many incarnations a story can make. Usually a story will be created in a novel and then be turned into a film, then a stage production… or after the novel, the stage production will come and then the film. Either way, it’s usually a well-known story from the get and it can be challenging for a creative team (whether stage or film) to visually recreate or reimagine a beloved novel. However, some stories just lend well to a transfer from film to stage and Silhouette Stages latest production, Legally Blonde the Musical with Music & Lyrics by Laurence O’Keefe and Nell Benjamin and Book by Heather Hach, and on the novel by Amanda Brown and the MGM Motion Picture, is a story that looks just as good on the stage as it does in the pages of a novel or on the silver screen. 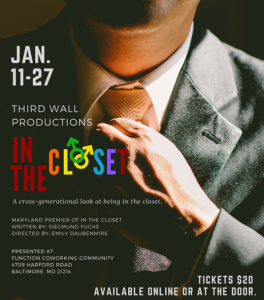 This latest production is Directed by TJ Lukacsina, with Music Direction by Nathan C. Scavilla and Michael Wolfe, and Choreography by Rikki Lacewell and is a joy to experience and should not be missed. The cast of Legally Blonde; Photo by Silhouette Stages. Briefly, Legally Blonde the Musical is about Elle Woods (Lindsey Landry), a pretty, blonde West Coast girl, from Malibu who follows her college boyfriend, Warner (Stephen Foreman), all the way to Harvard Law School to win him back and along the way, shows herself and those around her, such as teaching assistant Emmett Forrest (Matt Wezel) and Professor Callahan Ryan Geiger) that you can’t judge a book by its cover and that she is much more than what she looks like. She overcomes challenges and finds friendships places she least expected. It’s a story of discovering what is inside of a person is much more important that what we see on the outside. It’s a good message told with a balance of humor and poignancy that makes for a delightful evening of theatre. Set Design by TJ Lukacsina is simple, yet appropriate for this production. More set pieces than a permanent set, each scene is insinuated but it is easy to see where everything is taking place and the clever use of set pieces makes it easier to create the many different locations needed for this piece. Aside from a few lackluster pieces that are supposed to represent simple doors but look a little untidy, the cast and crew are well-rehearsed on the changes and everything moves smoothly and quickly keeping up with the pace of the piece and not hindering it. Andrew Malone has yet to disappoint with his Costume Design and this production is no different. As the nature of this piece goes, the look is just as important as the story and Malone has managed to capture that look beautifully. From the West Coast, haute couture look for Elle Woods (and there is no mistaking that pink is her signature color) to the darker, more conservative look of the East Coast, Malone has chosen a near perfect wardrobe for each character in this production. Kudos to Andrew Malone for a job well done. Erica Loy as Kate; Lindsey Landry as Elle Woods; Kendall Nicole Sigman as Serena; Jennie Phelps as Margot; Nia Smith as Pilar; Photo by John Cholod. Choreography by Rikki Lacewell is well on point. Definitely much more than dance squares and jazz hands, this choreography is well thought-out and befitting of this upbeat and modern piece. The fast-paced numbers such as “Omigod You Guys” (the opening number), “Positive,” “Whipped Into Shape,” and the infamous “Bend and Snap” are exciting and stimulating and Lacewell seems to know her cast and the varying abilities of each and wonderfully blends them all into all these numbers. There was an attempt at a hip-hop style of dancing during “Positive” that might have benefitted from a bit more rehearsal, but overall, the choreography is fitting, thought-out, and well executed adding great value to this production. Music Direction by Nathan C. Scavilla and Michael Wolfe is superb with a strong, vocally stellar ensemble. The music is recorded, but that doesn’t damper the abilities of the cast as they in harmony and spot in in every number. Some performances are stronger than others but Scavilla and Wolfe have managed to get brilliant performances out of every member of the cast and this music is presented exquisitely and with gusto. Along with Set Design, TJ Lukascsina has double duty and also takes on Director duties of this production and he’s risen to the challenge of bringing this popular and familiar story to the stage. He has a vision of his own and it’s apparent in this piece while still being faithful to the original to both the film and staged productions. His casting is impeccable and the characters really come to life and move the story along nicely. Lukascina has created a smooth pace but, because of the use of recorded music, the transitions into musical numbers seems a bit abrupt and it’s clear the actors are waiting for their music cues whereas with a live band, a little vamping goes a long way for seamless transitions. Overall, his work is to be commended and he gives us a fun, meaningful piece that is a joy to experience. Moving into the performance aspect of this piece, I have to mention that the entire ensemble of Legally Blonde the Musical gives a strong, confident, and committed performance. With a large cast, it’s easy to blend in, but there were many good, worthy performances in this piece and all of the ensemble are to be commended and congratulated on a job well done! Lindsey Landry as Elle Woods; Matt Wetzel as Emmett Forrest; the cast of Legally Blonde; Photo by John Cholod. Though this piece seems like a female-character heavy piece, there are actually quite a few featured roles for males, as well, including Warner Huntington III, played by Stephen Foreman and Professor Callahan, played by Ryan Geiger. These gentlemen carry their own against the female driven script and give admirable performances. Ryan Geiger has as great look for Callahan and the way he carries himself as the character is spot on. He understands the antagonistic ways of his character and he’s comfortable in the role, giving a very confident performance. Playing the character of Warner Stephen Foreman made some curious choices in mannerism and delivery. Warner is supposed to be a “bro” per say, and not much on his mind besides old family money and when the next kegger is but Foreman’s performance seems a bit too forced and uncomfortable at times. Vocally, he does a fine job with his featured number “Serious” but I would like a more of a jerk-like confidence in this portrayal. However, that being said, Foreman does a good job and makes this role his own. He has great chemistry with his cast mates and it makes for a worthy performance, overall. Lindsey Landry as Elle Woods; Stephen Foreman as Warner Huntington III; Photo by John Cholod. Kendall Nichole Sigman as Serena, Jennie Phelps as Margot, and Nia Smith as Pilar take on the responsibilities of the “best friends” and Greek chorus of this piece and they hit the nail on the head. They are committed and stay upbeat (as required by their characters) throughout the entire production and are in step with every bit of choreography thrown at them. All three are assets to the ensemble and they are comfortable in these roles giving splendid performances. Summer Hill gives a top notch performance as Brooke Wyndham, Elle Wood’s first client and fellow Delta Nu sorority sister. Portraying a fitness instructor has its own set of challenges but Hill steps up to the plate and knocks it out of the ball park with a high energy jump rope/aerobic number “Whipped Into Shape” that had my heart racing and I was just sitting in my seat. However, Hill didn’t miss a beat or a note and that, my friends, is quite impressive. She makes the entire thing look easy and she has a good understanding of her character and makes the role her own. It’s also worth mentioning, the ensemble members who join Hill in “Whipped Into Shape” also keep up with the high energy number, not missing a beat, and give a tight, well-rehearsed performance. Parker Bailey Steven as Enid; Nia Smith as Pilar; Lindsey Landry as Elle Woods; Jennie Phelps as Margot; Allison Bradbury as Vivienne Kensington; Summer Hill as Brooke Wyndham; Ryan Geiger as Professor Callahan; Photo by John Cholod. Allison Bradbury takes on the role of Vivienne Kensington, the uptight, snobby, and, well… bitchy, new girlfriend of Warner and, no offence intended, but Bradbury nails this part. She gives off just enough bitchiness to make you not like her, but also makes her transition toward the end of the piece all the more important and Bradbury gets this importance of that transition. She gives a hell of a vocal performance and, overall, gives a terrific performance. Matt Wetzel as Emmett Forrest is quite likable and gives an admirable performance. He has great chemistry with Lindsay Landry making for a believable and authentic portrayal. His vocal stylings on his featured number such as “Chip on My Shoulder” and “Legally Blonde” are commendable and heartfelt and he really grasps the essence of his character making for an enjoyable performance. I’d also like to mention the four-legged actors of this ensemble, who both did stupendous jobs in their roles: Biscuit Boo Bradbury who takes on the challenging role of Elle’s faithful friend Bruiser, and Olive Ann Landry who takes on the part of Rufus, the poor furry child in the middle of a custody dispute with Paulette and her ex. Note: If you put dogs in a production… you can’t go wrong with me. I. LOVE. DOGGIES. I’m just sayin’. Matt Wetzel as Emmett Forrest; Lindsey Landry as Elle Woods; Photo by John Cholod. Definite highlights of this production are Lindsey Landry as Elle Woods and Michele D. Vicino-Coleman as Paulette. Both of these actresses are a joy to watch and their performances are superb as they really comprehend their characters and their motivations and play the roles to the hilt. Michele D. Vicino-Coleman plays a hilarious, down-to-earth, and street-wise Paulette, the local stylist who befriends Elle and supports her no matter what. Vicino-Coleman takes this role and gives it a fresh look and portrayal. She has a strong and beautiful belt and smashes her featured number “Ireland” not taking it too, too seriously and adding just enough comedy in to keep it funny, but still poignant. Her chemistry with the hunky Kyle (played brilliantly by a hunky Rob White) is fantastic and, importantly, she looks as though she’s having a blast playing this part which, in turn, makes for a fabulous performance. Filling the cute, fashionable shoes of Elle Woods, Lindsey Landry is just about perfect casting for this role. It helps that her look is spot on for this character, but more importantly, her understanding of Elle Woods is quite apparent as her transition from the beginning of the show to the end is seamless but definitely noticeable. Her voice is absolutely beautiful as it fills the theatre during numbers such as “What You Want,” “So Much Better,” “Legally Blonde,” and the touching “Find My Way.” She gives an authentic portrayal and really connects with the audience to where you’re really rooting for her every step of the way. Landry gives an impeccable performance and I’m looking forward to seeing more of her work in the future. Final thought… Legally Blonde the Musical at Silhouette Stages is a delightful, fun, well put-together production that should not be missed this season. Having to contend with the successful film and book on which it is based, it could have gone horribly wrong or amazing well and, thank goodness, it’s the latter. This production is fresh while staying true to those previous incarnations and, if you’re looking for an enjoyable evening head on down to Columbia to see this production. With a clever script, uber-fun and catchy music, and a well-abled, dedicated cast that makes the show their own while staying true to the original characters, Silhouette Stages has a bona fide success on their hands. This is what I thought of Silhouette Stages’ production of Legally Blonde the Musical… What did you think? Please feel free to leave a comment! Legally Blonde the Musical will play through May 28 at Silhouette Stages, Slayton House, 10400 Cross Fox Lane, Columbia, MD 21044. For tickets, call 410-637-5289 or purchase them online.